New Delhi (Metro Rail News): Bharatiya Janata Party (BJP), ruling party in center, is promising a High-Speed Bullet Train corridor between Kanyakumari and Chennai through its general poll manifesto and raising hopes of better connectivity for the people but the National High-Speed Rail Corporation Limited (NHSRCL) which is executing India’s first bullet train project between Mumbai and Ahmedabad, is missing several deadlines in land acquisitions for the bullet train project. The Government has set a deadline for December 2018 to clear the land acquisition roadblock. 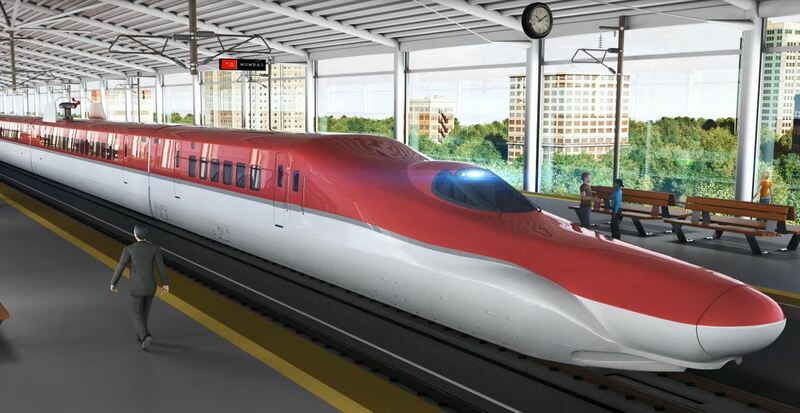 Around 1,414 hectares land needed for the Rs 1.1 lakh crore Mumbai – Ahmedabad High-Speed Rail Corridor for which land required from 11 districts of Maharashtra. Palghar district will give the most around 280 hectares but less than a tenth has been acquired till date. Although, the NHSRCL has already missed the December 2018 deadline for land acquisition whereas the project is scheduled to be completed by 2023. Around 140 km north of the Mumbai, in Dehane village of Dahanu block of the district, around 40 people of the Warli tribe gather to articulate their resistance to the project. Rupesh Rawte, a 42-year-old farmer who has 1.5 acres, asks why they should give up their land for a train that is not for them. He said that we will only be looking at it as it passes by. It is not going to stop for us and we can’t afford it. The villages in the area are mostly populated by the Warlis, who depend on paddy cultivation. Dahanu is better known for its sapota orchards. She said that Lack of trust based on certain experiences and misconceptions about the project adversely affected the land acquisition process initially. Now, with the help of the district administration, people are coming forward and are participating in the land acquisition process. The acquisition is based on consent and is fair and transparent. But her statement does not match with the ground reality. Pascal Dongalkar, a resident of Uplat village in Talasri, another administrative block about a half-hour drive from Dehane, said that there is no way they can get any land. The gram sabhas have opposed it. Besides the bullet train, land acquisition for the Mumbai-Vadodara expressway will also be a factor in the election. BJP’s assurance of ST status to Dhangar community has also angered the Warlis as it would eat into the share of communities that are already in the ST category. Running Metro Trains for all cities with 10lakh population is a nice and sensible idea to improve transport of urban population. Introduction of Bullet Trains in India is also needed but not at this stage ,the need of the hour is increase the speeds of existing trains such as Rajdhanis, all superfast trains to 160kms per hour by procuring Locomotives, Coaching stock and other infrastructure needed for implementation.Konkan Railway Tracks have been laid to suit the speeds upto 160kmph, but we are not able to run even a single train at this speed as we donot have Locos and rolling stock of that caliber , We may be able to introduce Metro Rail Net work atleast in 15 to 20 small cities within in cost projected for Bullet Train.After running trains at 160 to 200 kmph on existing trunk routes we may surely plan for Bullet Trains.which may take atleast 25 years more.